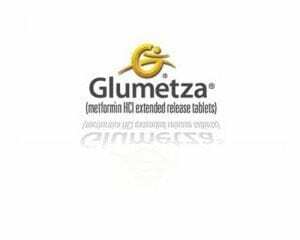 With a name like Glumetza, what exactly can you expect from this diabetes medication? What is it and what does it do? Glumetza is another type of oral diabetes medication that is solely for the use of those with type II diabetes. This is not a medication that will cure all your diabetes symptoms by taking a pill. Glumetza is a medication that has to be used in addition to other forms of keeping you diabetes at bay. While taking Glumetza you need to start or continue a regular exercise and diet regimen. When taken in addition to diet and exercise Glumetza can aid in blood sugar control in Adults who suffer from type II diabetes. When needed, Glumetza can also be sagely used in addition to other anti-diabetes medications. Glumetza helps your body in two different ways. It helps your body react better to the insulin that you naturally produce while lowering the quantity of sugar your liver produces. All of this helps significantly reduce amount of sugar your intestines absorb, in turn helping you live healthier. Before taking Glumetza your doctor should inform you of the side effects that can be caused by taking this medication. There is a serious medical condition that can result from taking Glumetza. This medical condition is known as lactic acidosis. Lactic acidosis can occur when there is a build-up of lactic acids in the body. When taking Glumetza it’s important to note any unusual side effects such as weakness, increased sleepiness, slow heart rate, cold or numb feeling, muscle pain, shortness of breath, stomach pain, light headiness, and fainting. All of these are symptoms of lactic acidosis and should be treated by medical professionals. Even if you are experiencing just a few of these symptoms it is wise to contact your doctor immediately. There are pre-existing medical conditions that can add to your chance of developing lactic acidosis. These conditions are kidney or liver problems, congestive heart failure, consuming vast amounts of alcohol, becoming dehydrated, having certain medical tests performed while taking Glumetza, surgery, heart attack, or are eight years of age or older. There’s the chance that none of the factors will make you have lactic acidosis, but all of the factors need to be thoroughly discussed with your doctor before taking Glumetza in order to avoid any potential risks. There are other factors to inform you doctor of that are not listed above. You should let your doctor know before taking Glumetza if you are pregnant, plan on getting pregnant, or are breastfeeding. The side effects to an unborn fetus are not yet known, nor is there certainty on whether the medication can be passed while breast feeding. It’s important to take Glumetza exactly as prescribed by your doctor. You shouldn’t take it upon yourself to change your dosage in any way. It’s also wise to consult your doctor before taking any other medication or supplement. It’s very possible that there might be a drug interaction even with medicines or supplements you thought safe to take. It’s imperative to follow all instructions outline by your doctor to receive the benefits of taking Glumetza.